What does the current conflict and unrest in the Middle East look like from the perspective of Israel? Indiana University Bloomington students, faculty and staff and community residents will get a first-hand report on the topic this week. Roey Gilad, general consul of Israel to the Midwest, will speak on “A View of the Middle East From Jerusalem” at 7:30 p.m. Wednesday, Nov. 20. The lecture, in Room 123 of the IU Maurer School of Law, 211 S. Indiana Ave., is free and open to the public. 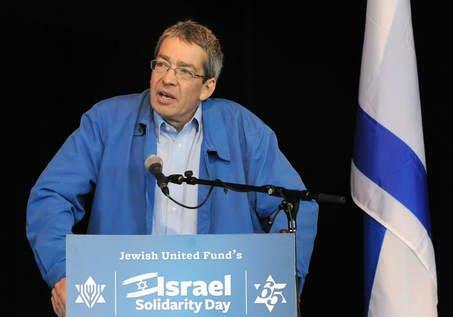 Gilad, Israel’s highest-ranking official in the U.S. Midwest, is responsible for representing Israel in an 11-state region from the consulate in Chicago. During his 23-year tenure with Israel’s Ministry of Foreign Affairs, he has served in the United Kingdom, the Hashemite Kingdom of Jordan and Kenya. He was head of the Political Affairs Department in Israel’s Embassy in London; media spokesman in Israel’s Embassy in Amman, Jordan; and the second secretary in Nairobi, Kenya. He also has worked for Israel’s National Defense College and headed the Export Control Department of the Ministry of Foreign Affairs. He has a master’s degree in national security studies from Haifa University and a master’s degree in Middle Eastern studies from Tel Aviv University, and he served as a staff sergeant in the artillery forces of the Israel Defense Forces. He is fluent in Hebrew, English and Arabic and knowledgeable in French. His lecture in Bloomington is sponsored by IU’s Robert A. and Sandra S. Borns Jewish Studies Program, the Helene G. Simon Hillel Center at Indiana University, Congregation Beth Shalom in Bloomington, the Indianapolis Jewish Community Relations Council and the Consulate General of Israel to the Midwest.